The BRICS (Bra zil, Russia, India, China and South Africa) have announced that they will set up a “New Development Bank” (NDB) to fund economic development in their countries. The aim is to start with US$50bn of equal contributions in an infrastructure loan fund, to grow that over time, and to establish a US$100bn contingency reserves arrangement for financial/payments crises. The NDB stems i) partly from a frustration with the lack of reform at the World Bank/IMF in recognition of all the comparative and absolute economic change of the last few decades and ii) partly from a positive desire to develop new streams for the growing networks of economic interaction between and across the South. The stated intention is that other ’emerging’ economies could contribute and benefit from the NDB over time. The NDB might well be an inherent ‘good’ for these countries and their partners. Anything that potentially supports sound, value adding, infrastructure development in these countries could be very welcome. There are, however, five main issues that will determine its success or otherwise. 1. Politics – how will the institution affect geopolitics? It could be highly divisive, adding to the worrying strains that already exist between North and South? Also, are these five contributors politically stable and aligned enough to be able to pursue their goals efficiently, effectively and honestly or are they going to fall out over the real world application of their aspiration? Rule of law and a ‘free trade’ approach are vital ingredients to successful, long-term, economic development on this scale. 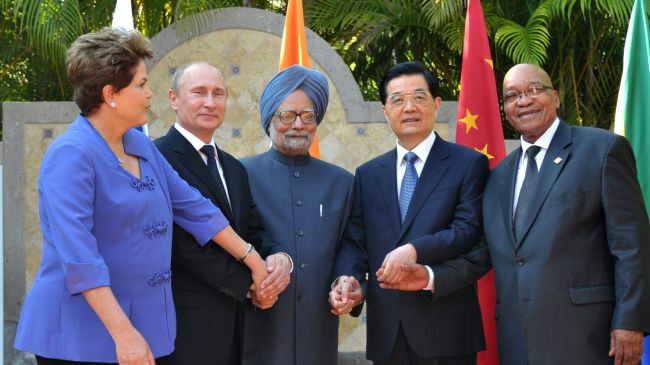 Sadly, some BRICS do not always display these characteristics very well. 2. Economics – the countries vary so much in the scale and scope of their investment processes and they are competitors as well as partners – can they manage the stresses these differences imply? 3. Financial – why is the pooling of this money better than the spending of it individually? Will the infrastructure that is produced be better or worse (economically as well as physically) as a result? How will they handle the letting of contracts? There is a danger of circularity here: India donates funds to the NDB which is spent with Indian companies on Indian projects – why set up an institution in Shanghai to act as a middleman in this? Why not do it yourself? In essence, why would the sum of these parts make for better outcomes than the individual pots? They can do, but how is the NDB going make sure they do? 4. Practical – who is going to do the appraisal and evaluation of investment proposals and outcomes? There is a need for robust monitoring and surveillance of the projects and the funds. Why would this NDB be be better at that than any other parallel format? All the problems of an expensive bureaucracy, with the potential for corruption, could emerge. 5. Relationships – is the NDB set up in competition or partnership with the IMF/WB and other bodies? Will it lead to separate funding streams that are vying for the same projects? Competition may be good but it can also be divisive and inefficient. Is China going to act as guarantor as, effectively, the USA has done for the Bretton Woods institutions for nearly 70 years? Will existing institutions now decline, disappear or become more of a ‘developed’ world club? At this point, we can not answer these issues. Good intentions now need to be backed up with practical implementation. We will need to watch closely as the NDB is born, grows and matures. ← Can contractual agreements deliver change in complex systems? Interesting developments in South South cooperation. A whole new level of agreeing to disagree.